The HLB Poland alliance continues to grow with the recent inclusion of Avanta who are based in the city of Wrocław. Avanta being auditors and advisors since 2009 provide Assurance Service, Mergers and Acquisition, Transaction Advisory, Corporate Finance, Business Improvement and Valuation Services. HLB Poland member firms welcome Avanta who will only enhance our dedication to providing top-tier advisory services to clients looking to do business in Poland and abroad. 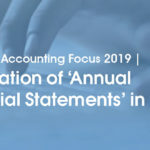 Our members provide full range of accounting, audit, payroll, HR, along with advisory, tax and financial services, complimented with a fully developed, sophisticated range of technical IT solutions throughout Poland. 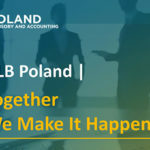 Strength in diversity, with different backgrounds and expertise HLB Poland member firms unify to present a holistic service offering greater than the sum of its parts.